Around the time that ARoS Art Museum opened its major exhibition on French painter Claude Monet, several US art museums were facing protests outside their buildings. A small group of protesters rallied against the display of works of Monet’s Impressionist colleague Auguste Renoir, claiming his art lacks artistic skills, he is only famous because his art is displayed in museums, and that the Impressionist canon should be reevaluated. In Denmark, ARoS claims to stage a similar reevaluation. Not because Monet is a bad painter, but because the exhibition makers feel the wider public no longer recognizes the real value and importance of the artist’s work. 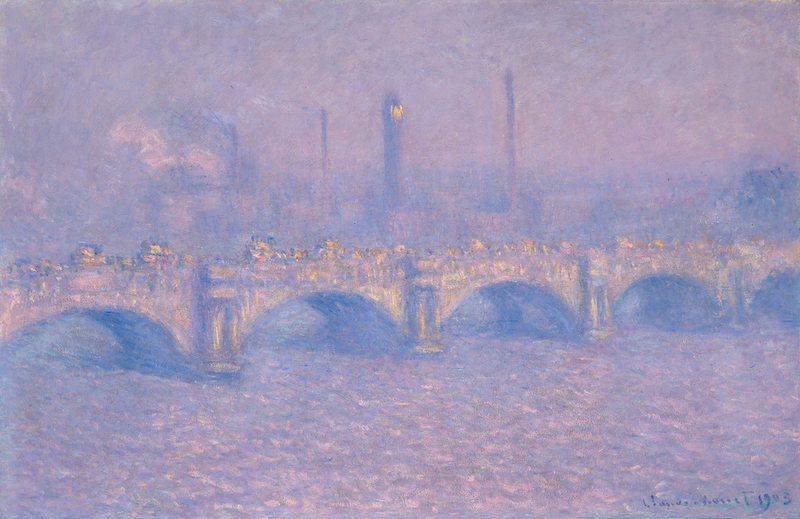 The exhibition is titled Monet – Lost in Translation. This makes one wonder; by whom was Monet translated, why did he get lost, and what exactly did we lose? The introductory text to the exhibition argues that Monet’s art has become subject to inflation. The many reproductions on fridge magnets, cookie jars, and other paraphernalia have reduced the actual paintings to clichés. Increasingly appreciated for its decorative value, the original historical context of the work has been forgotten. Due to the virtual omnipresence of Impressionism, contemporary museum visitors no longer understand the revolutionary character of this art movement. 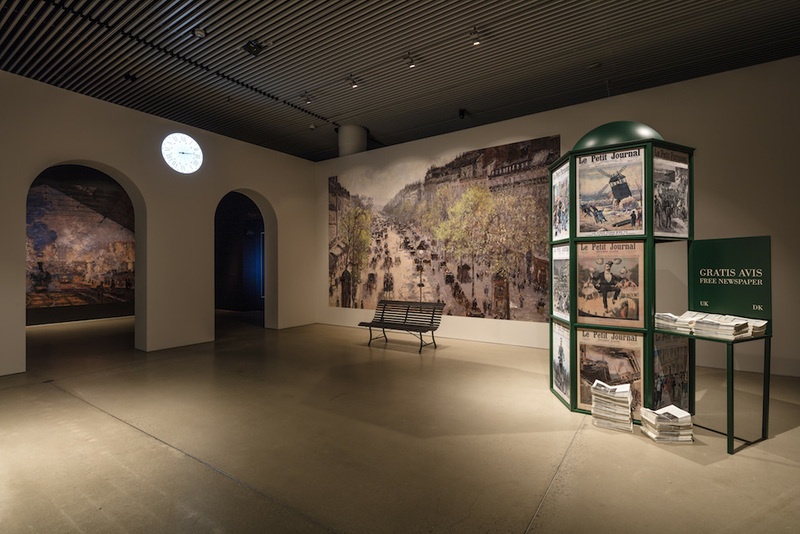 The entrance to the exhibition is designed to make visitors feel like stepping into nineteenth-century Paris: a newsstand provides the latest art newspaper, a station clock is ticking away time backwards, and in a waiting room historical footage of train travellers is displayed. The passageway into the exhibition represents a moving train; through the windows footage of details of Monet landscapes flash by. The design is a tad theatrical, but it surely gets people into the mood of travel. Destination: Monet’s France. The exhibition aptly reinforces there’s no such thing as the Impressionists, as it represents quite the diversity of painting styles: Renoir’s romance, Sisley’s brightness, and Courbet’s drama are all displayed side by side, brotherly next to Monet’s work as central focus point. There is enough material to allow for comparison between the different guys (and one girl) in the band. Not necessarily with their masterpieces, but with a carefully selected, representative variety of paintings. If not with every individual work, in one room ARoS makes a difference with its display method. In a so-called black box, Monet’s paintings hang against black walls, the only light coming from the spotlights on the paintings. It is an experimental display method, to be expected from a contemporary art museum. This display emphasizes how the painted motifs are only of secondary importance. The depicted bridges, water lilies, and haystacks are vehicles to let the painted light and colors speak. These paintings are constructed of so many layers that can truly be uncovered after your eyes have adjusted to the dark surroundings. It is an environment in which the paintings shine like beacons in the night. By means of engaging with one of art history’s icons, ARoS created an attempt to take up its role as a platform for debate. It aimed to challenge the visitors to think about how commercialization, and in fact its own business of musealization, influences how visitors perceive the displayed art. While this is a worthwhile aim and a debate that definitely needs to be held, there is one crucially problematic aspect. The exhibition doesn’t show it: not in the paintings themselves, nor in the ways they are installed. To allow the 21st century visitor to experience the radical shock a 19th century visitor must have had, ground for comparison is needed. Simply stating that once upon a time a painting was shocking (and lest we forget!) just doesn’t cut it. In an age dominated by visual culture, it has to be visible in the exhibition display. One option to solve this problem would have been to show paintings that the Impressionist artists departed from and reacted against at the very entrance of the exhibition. Rather than recreating a time-travel experience, with the display of a few paintings in the style that was taught at the French art academies, Impressionists’ radically different outlook in selecting subject matter and painting styles would have immediately become clear. The “lost in translation” frame is an ambiguous point of departure for an exhibition. Because, isn’t reminding people of the historical context of Impressionist paintings exactly the museum’s primary task? Not only the merchandise manufacturers can be blamed if current generations are not familiar with the radical nature of Impressionism. If this really is the case, then the museum world is doing a lousy job. Unlike US counterparts, I would not call this a reason to protest or to occupy art museums. Yet, this Monet exhibition is a perfect opportunity to rekindle the debate about art historical canons and the effect of museums on the public perception of the art they show. In the exhibition a challenging contribution to this debate appears at the very end. In a recreated dentist’s waiting room, a real Monet painting and a Monet calendar are placed on mint green walls. 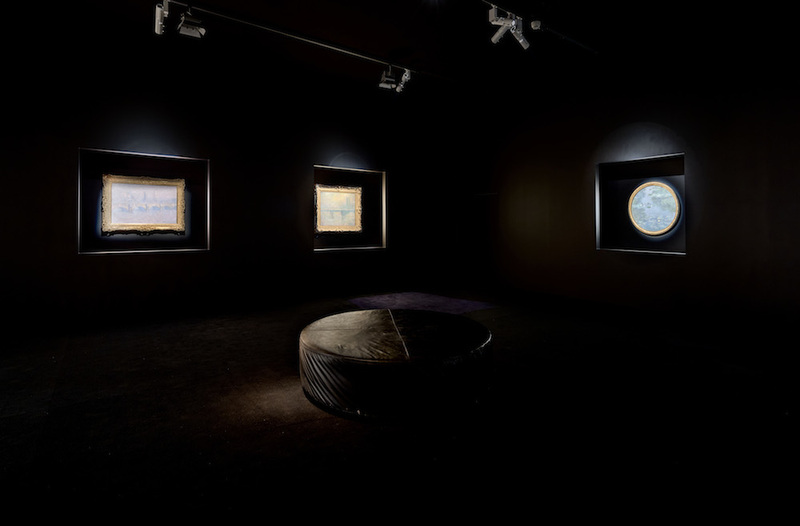 The visitors are invited to take a seat and to read the epilogue to the exhibition. It repeats the main objectives of the endeavor: that of recognizing and embracing Impressionism’s radicalism. Paradoxically, when seated, visitors have their backs towards the real Monet, while the calendar is in plain view. Moreover, one would think, an exhibition that fights clichés in the art world would not endorse the very commercialization it blames for this tendency. Yet, Monet fridge magnets, lunch boxes, and tartlets are widely available. 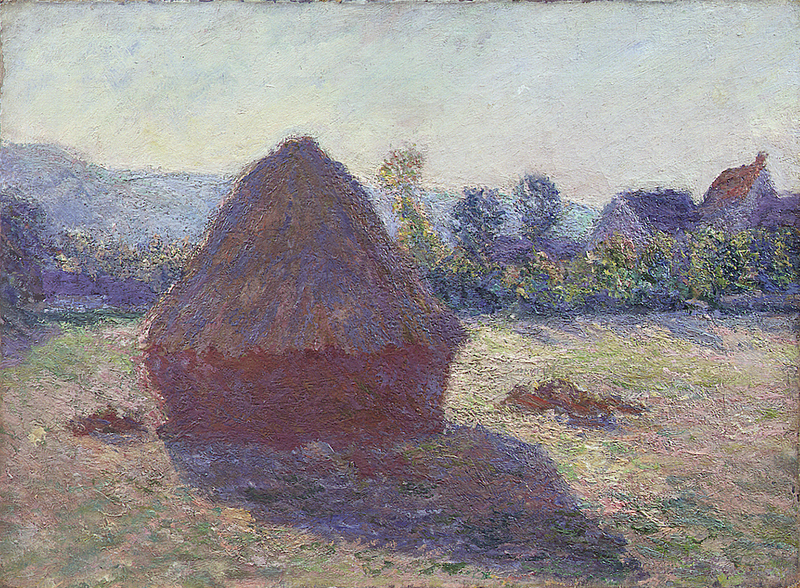 Monet – Lost in Translation is on display in ARoS Art Museum, Aarhus (DK) until January 10, 2016.